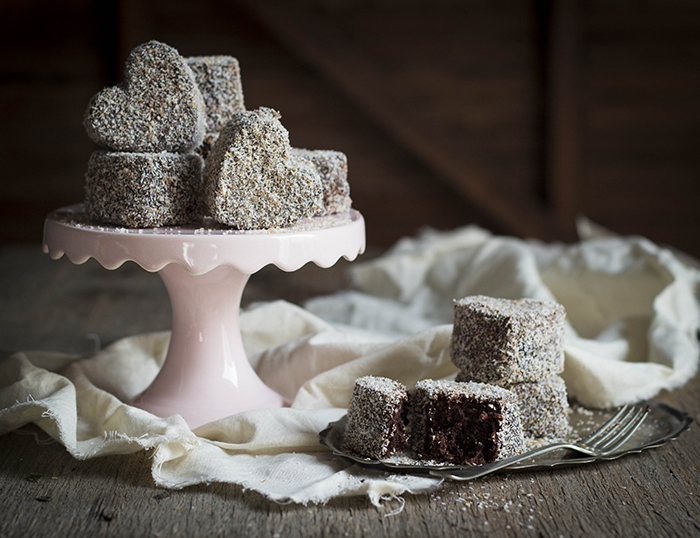 I’ve partnered with my favourite Natura Sugars to create a series of recipes that heroes the beauty of unrefined sugars. 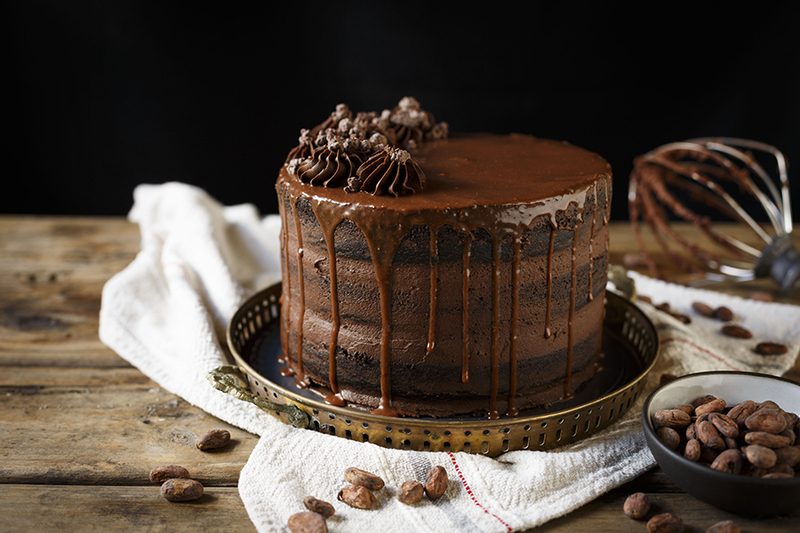 Unrefined sugar has all the beautiful molasses flavour locked into it (instead of refining it out) so if you’re a baker, it means that you can add another layer of flavour to your bakes simply by using really great quality sugar! And when I discovered I don’t have my madeleine recipe up on the blog, I knew that it was the perfect recipe. 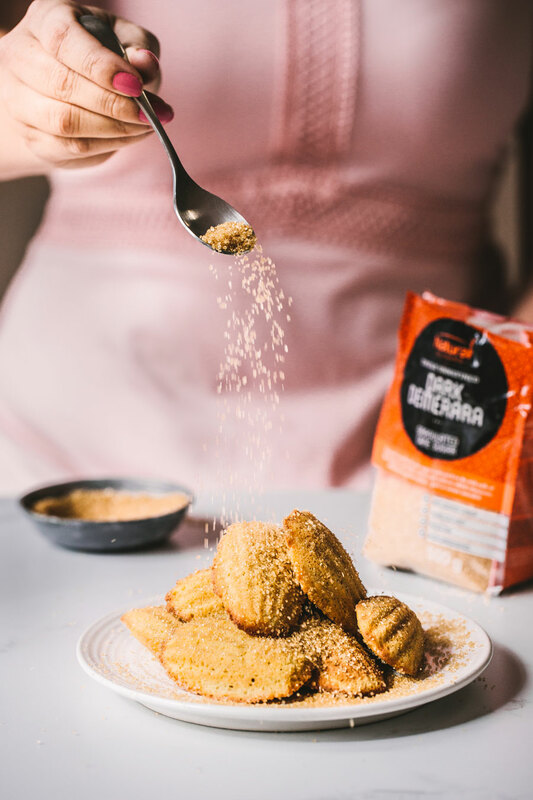 This time, I’m putting their Dark Demerara Sugar on a pedestal and marvelling at the fudgy, caramelly flavour it imparts to anything it’s stirred into – including these dainty, light-as-air madeleines. 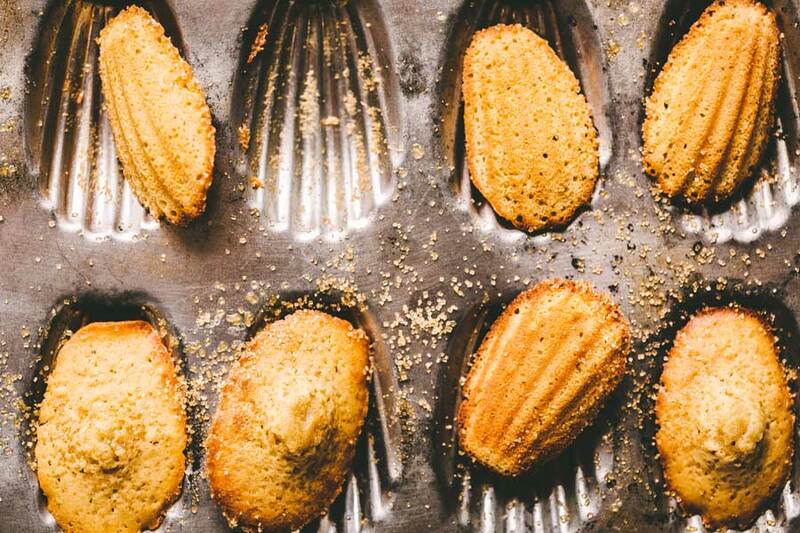 While they may look fancy, madeleines are one of the easier French delicacies to make (compared to the macaron!). You can spot the perfect madeleine with its caramelised edges and the cute little hump it makes on one side. This hump (which I’m pretty sure was created as a mistake) is a quintessential characteristic of a proper madeleine and happens because the cake mixture is chilled and then put into a very hot oven. 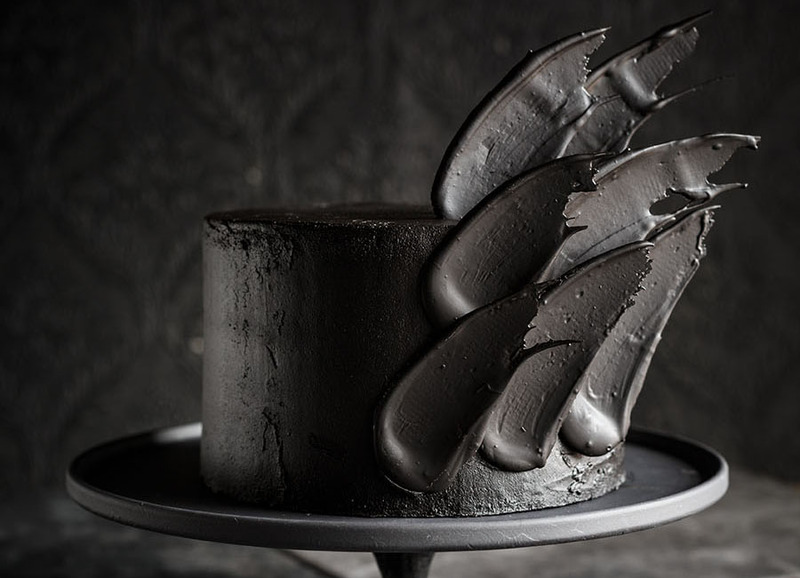 In any other bake, a hump would be considered a mistake, but here it is celebrated, even. 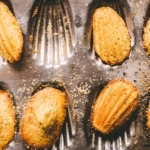 The best thing about madeleines is the fact that the mixture can be kept in the fridge for a day or two – you can simply bake a batch when the craving strikes! 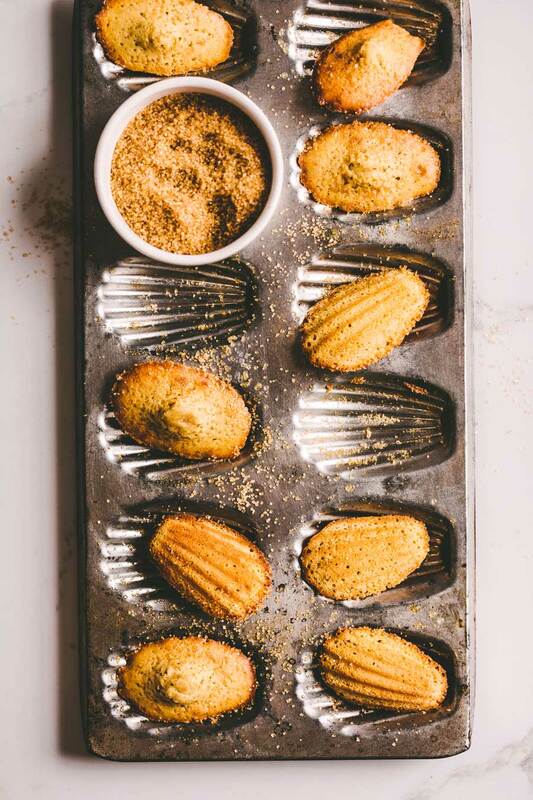 And just imagine the oooh’s and aaaah’s you’ll get if you serve a tray of freshly baked madeleines for dessert at your next dinner party! Even better, serve them with this crazy delicious salted caramel sauce! 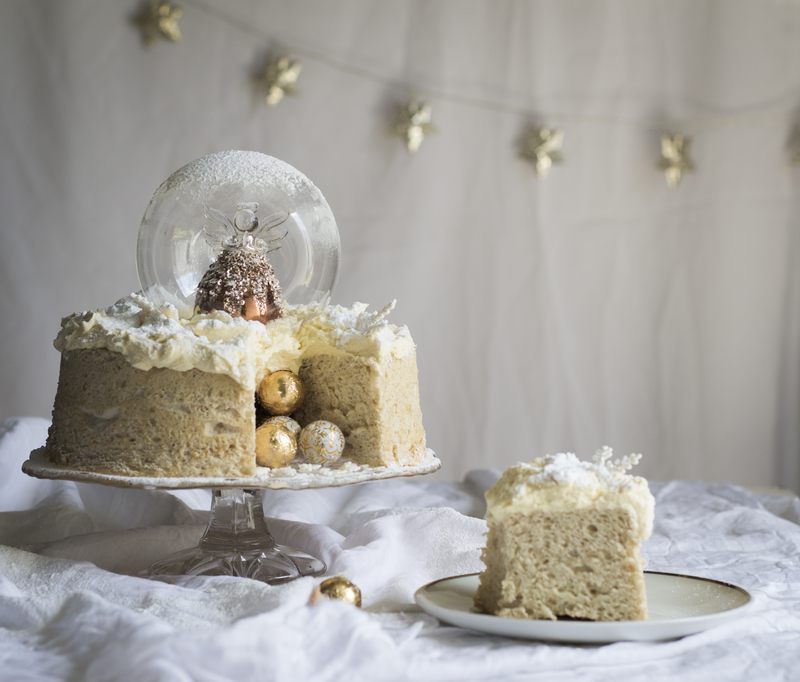 A light and airy little cake that makes a very special end to the meal. Place the madeleine mix in a piping bag and refrigerate for at least 2 hours - preferably overnight. Pipe the madeleine mixture into each mould - filling it 3/4 of the way, sprinkle with the demerara sugar and bake for 6-8 minutes.